The Fat Quarter Shop is excited to welcome JoMorton to the Jolly Jabber. Jo Morton’s latest fabric collection is Carolina from Andover Fabrics. Q: What was the first seed that grew into the Carolina collection? A: The 'mother' fabric is the first step, then come up with suitable companions. Seems I can always find assorted companions, it is finding the 'mother' print to pull it together that is the constant challenge. 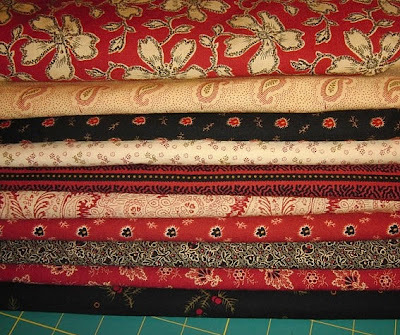 I work from antique (19th Century) pieces of fabric, blocks or quilt tops, sometimes quilts too. 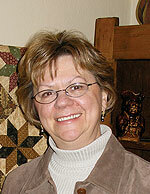 It is harder to get a good image from a quilted quilt for fabric purposes. A: I'm not a one favorite piece of fabric person, I love it all. 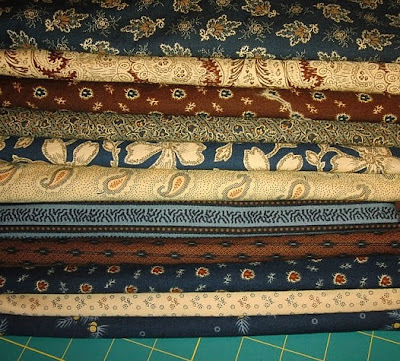 I love scrappy quilts and am happy to add these pieces to my 'fabric collection'. I don't like the word stash, my fabric isn't hidden. 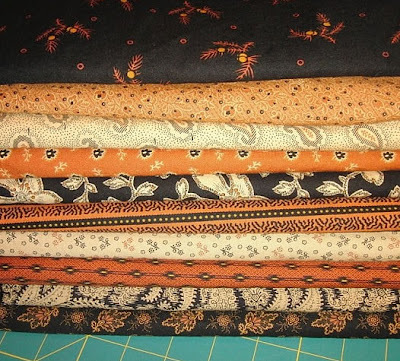 A: I think I would like to make a 'Fall' quilt using the rust/black colorway of 'Carolina', maybe throw in some greens from 'Evergreens' and perhaps who knows until the day I begin. I don't design quilts on the computer. We make blocks then then I decide what to do with them. It is on my 'idea' list to consider making for after Spring Quilt Market in Salt Lake City (for the trade only, not the general public). I seem to work all the time, every day, seven days a week. I'm trying to fix that and find some time for me. Grew up in Kansas, moved to Nebraska forever ago, Nebraska City has been 'home' for a long time now. 5. What is the most important part of a sandwich?